Breakfast and it’s true effect on weight loss is fast becoming an important, yet divisive topic. In this article (as per our usual methodology) we’re going to first challenge the modern orthodoxy. Then, we’ll offer some common-sense advice which we hope will help clarify the situation. So let’s see if you should or shouldn’t eat breakfast if you want to lose weight. Because there’s a lot to cover, we’ve added a table of contents for ease of navigation. To many people, breakfast holds an unquestionable truth: it’s is the most important meal of the day. Doesn’t it kick start your metabolism… or something – and stops snacking in the day? 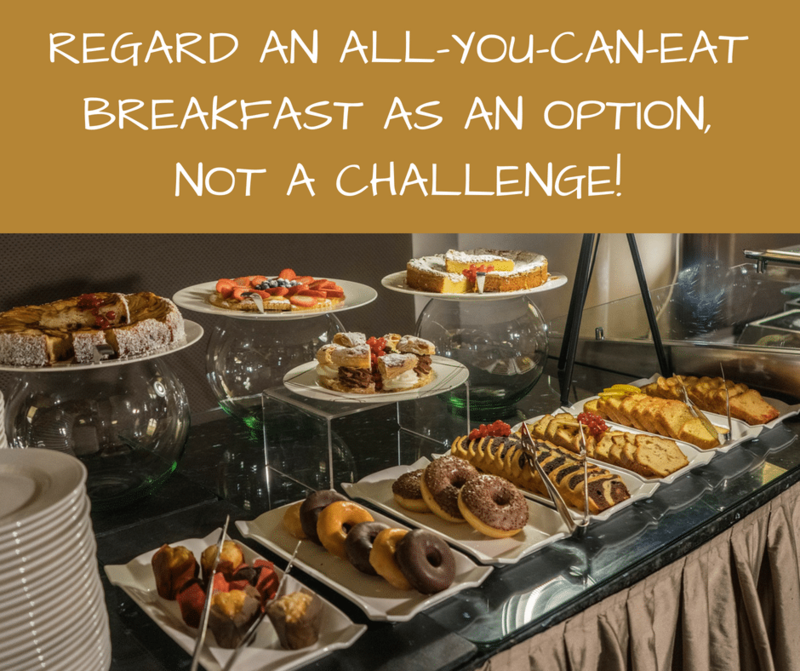 And of course, there’s the age-old ‘breakfast like a king’ mantra. Doctors, health professionals, your parents and even your gran say that you should eat breakfast. It’s one of those ‘things’ that no one questions anymore. If everyone says it, it must be true… right? Well, the tide may be turning against breakfast, especially when it comes to losing weight. Now, we’re not here to persuade you into casting off your cornflakes. Rather, we try to always show a balanced picture and allow you to make an informed choice in the matter. So, let’s start by looking at a remarkable, but little publicised study from a few years ago. In 2014 Dr James Betts from the University of Bath, UK, closely studied a group of subjects over six weeks. One half ate breakfast and the other didn’t. Betts noted that his subjects who ate breakfast, didn’t in fact snack any less during the day. Nor did they eat any less food at other meals than his subjects who skipped breakfast. Instead, he noted their daily food intake was over 500 calories higher than the breakfast-skippers. He also recorded that 10 out of 11 breakfast eaters also gained weight during the study! “The belief that breakfast is ‘the most important meal of the day’ is so widespread that many people are surprised to learn that there is a lack of scientific evidence showing whether or how breakfast may directly cause changes in our health. It is certainly true that people who regularly eat breakfast tend to be slimmer and healthier. However, these individuals also typically follow most other recommendations for a healthy lifestyle, so have more balanced diets and take more physical exercise. In fact, 10 of the 11 individuals in the breakfast group gained weight. Throughout history, the practice of eating breakfast was mainly followed by the working classes and the armed forces. And even today in most of Europe breakfast is little more than a coffee and possibly a light pastry. In the Mediterranean Diet, possibly the healthiest in the world, the focus is on the evening meal, not breakfast. This makes it arguable that it’s culture, not necessity that demands a substantial lump of food is eaten first thing. 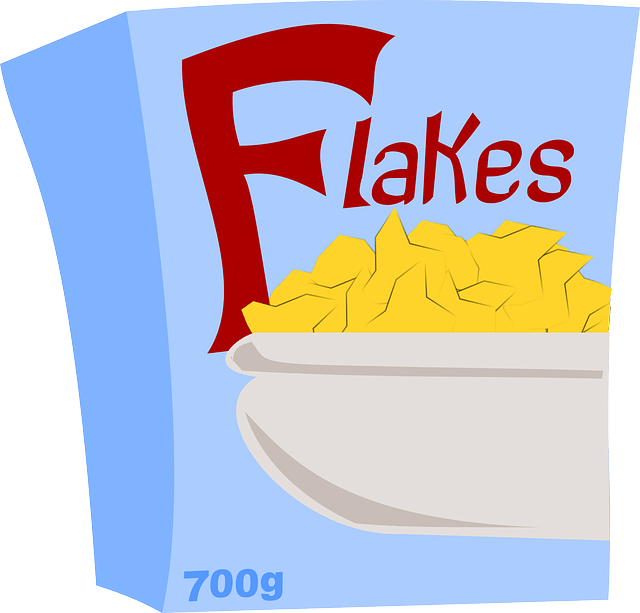 With global sales of $43 billion, is breakfast more important to you, or the makers of breakfast cereals? Make no mistake, breakfast is big, big business. Global sales for breakfast cereals are expected to reach $43 billion dollars by 2019, (up from $32 billion in 2012). But it’s not just cereals that are on the up. The fast food industry is now muscling in as well. MacDonald’s have become a major player in the fast-food breakfast with sales of $30 billion in the USA alone. To grab a major chunk of the action, in 2017 Kellogg’s alone spent $731 million on global advertising. Are breakfast food makers selling you a solution to a problem that doesn’t exist merely to sustain an extremely lucrative business? So, is breakfast more important you, or them? And with so much money at stake would you still accept eating breakfast as an unquestionable truth? So maybe it’s time to re-examine the facts and put a little bit of common sense back into the game. We’ll start with looking at a few popular, but false ideas about breakfast. The controversial, yet hugely popular American nutritionist Adelle Davis coined this aphorism way back in the 50s. But what science did she use to back up her claims? The answer, sadly, is absolutely none. An author of four best-selling books, with sales of 10 million copies, Adelle was both visionary and crackpot. Her ideas of nutritional deficiency being a cause of disease were years ahead of her time. However, her work was widely ridiculed by the scientific community who found it littered with errors and unsubstantiated claims. Sadly, a child died, and others fell ill when following some of her more outlandish advice. Another silly claim was that drinking two pints of milk daily (as she did) will stop cancer. This was possibly her biggest mistake as she died of cancer in 1974. Without doubt, Adelle Davis was a true pioneer, and the nutritional world has much to thank her for. Nonetheless, as we’ll shortly explain, eating breakfast like a king is not on the list of her best ideas. Sorry, but it doesn’t. The effect of chewing, digesting and metabolising food causes a rise in your resting metabolic rate. This is process is called dietary-induced thermogenesis, aka the Thermic Effect of Food (TEF). It varies depending upon what is eaten (proteins raise it higher than fat or sugar). Regardless, it accounts for about 10% of the calories that you burn every day. As Dr Betts already noted, breakfast has no greater effect on TEF, than any other meal. At first glance, the research behind the claim that breakfast skippers are fatter that breakfast eaters seems unarguable. Study after study shows that people who skip breakfast are more likely to have weight problems. But let’s look at this from another angle. Have these people always skipped breakfast? What if they used to eat breakfast but have since stopped so they can reduce calories, i.e., diet? Without doubt, if you want to cut out a meal and save calories, breakfast is your easiest option. So, has missing breakfast caused the weight problem or has the weight problem now caused the skipping of breakfast? Our own experience of working with thousands of people over the last thirty years certainly suggests the latter. We’ve come across countless individuals who stop eating breakfast when dieting. Sadly, for many, once they stop dieting and start eating breakfast again, their weight goes back up. Now, breakfast is possibly not the only culprit, but you could argue that it’s contributed. Okay, it sounds as if we’re giving breakfast a bit of a kicking. That if you want to lose weight and be healthier, you must stop eating breakfast. But we’re not; we’re just trying to demonstrate the accepted breakfast orthodoxy may not be so cut and dried. Fact: if your daily calorie intake exceeds your calorie output, you will still gain weight – breakfast or not. In truth, we think skipping breakfast occasionally would help with weight loss. Missing breakfast is a form of Intermittent Fasting (IF) and IF certainly holds some benefits for assisting weight loss. (We use it in our calorie cycling plans.) But more importantly, it’s shown to reduce insulin resistance in type 2 diabetics. So why is insulin important to weight loss? So, insulin resistance is the last thing you want if you’re trying to rid yourself of some unwanted wobbly bits. The solution to combat insulin resistance is to reduce sugar, increase activity and occasionally fast (skip breakfast). Without doubt, all these actions, especially fasting, have been proven to be effective in the battle against obesity. Okay, we’ve argued the case for breakfast skipping, so now let’s look at why and when breakfast is necessary. Breakfast can provide vital energy for exercise, activity and manual labour. Moderate levels of activity are fine on an empty stomach, but intense exercise is not. In fact, any activity that raises the heart rate but doesn’t leave you breathless before breakfast is a great way to start the day. Our rule is simple: if you don’t have a high energy day ahead, you don’t need a high energy breakfast. Don’t ignore specific medical advice in favour of missing breakfast. For example, some medications must be taken with food. Note: We are not medically qualified and the advice in this article is for information only. It is not intended to diagnose or treat any medical condition. You should always check with your doctor if you intend to make any radical changes to your diet or exercise levels. Some people will become light-headed if either their blood sugar levels fall, or they develop serious hunger pangs. Obviously, this could be dangerous if you are driving or operating heavy machinery. So again, eat breakfast if this helps (we’ll cover what to eat to keep blood sugar stable later). For weight loss, avoid a high carb breakfast: no cereals, bread, pastries, etc. And a definite no-no is drinking your breakfast: smoothies, fruit juices and ridiculous 700 calorie coffees. If you keep it high protein (and some quality fats), you can avoid all the problems of high insulin, blood sugar, cortisol, etc. Yes, protein stimulates insulin release but it’s nowhere near the levels of carbs-based breakfast. Protein and fat are also more filling, keeping the hunger pangs at bay for longer and help stabilise blood sugar. Plus, if you are dieting, protein has been proven to maintain your muscle mass and metabolic rate. Rather than add even more to this already, long article, we’ll just provide a quick shopping list of best options. (We cover them in greater detail in our books.) You can obviously use them individually as a light breakfast or mix them to make something more substantial. Eggs: boiled, poached, omelette. Not fried or benedict, hollandaise, etc. Vegetarian options using Tofu, Quorn, etc. *All natural, unprocessed cereals – from oats to wheat, rice and pasta, etc., have all the taste and texture of cardboard. So, to make them palatable sugar is added! It’s easy to test: if you could eat the cereal straight from the pack, it’s been heavily sweetened. Stick to oats, Weetabix or Shredded Wheat (or their generic supermarket versions). Why? Because if you tried to eat them without milk you’ll instantly see what we mean – the box would be tastier! Sliced, white bread, bagels, baguettes, etc. Jam & Honey (it may be natural but it’s still sugar). Eggs: fried, hollandaise, benedict, etc. Danish pasties: croissants, pain-au-chocolat, etc. The science behind the common mantras: kick start your metabolism, breakfast like a king, etc. is poor. So, ignore most of it. Occasionally missing breakfast (fasting) is proven to help reduce insulin resistance. Therefore, it would help, not hinder weight loss. If you don’t have a high energy day ahead, you don’t need a high energy breakfast. If you are aiming for weight loss, aim for more protein at breakfast and avoid kiddies’ cereals, bread, pastries, etc. Regardless, if your daily calorie intake exceeds your calorie output, you will still gain weight – breakfast or not. This has been a long article, but we’ll finish with what we tell all our clients. 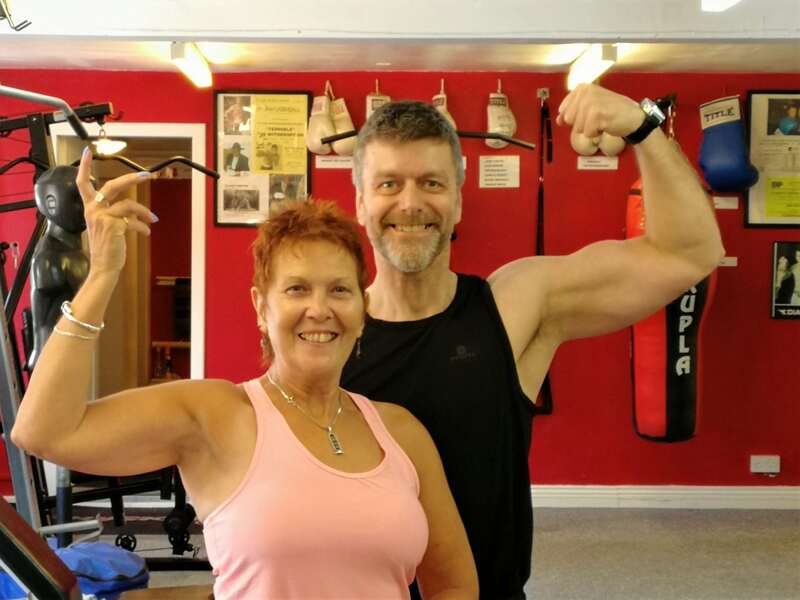 Authors, personal trainers and nutritionists, Paul Lonsdale and Ann Hirst have spent their lives the health and fitness Industry. Their straight-talking, common sense approach is a welcome change in a world replete with fad diets and quick-fixes. They don’t trek in the Himalayas or raise money for endangered tree frogs in Patagonia. Nor do they believe holding hands and chanting will make you thin. Theirs is a practical world and as such they only deal in practical solutions. Despite having already busy lives, they also run an online training and dietary service, regularly lecture in and around South Yorkshire and often talk on local BBC radio. James A. Betts et al. (2014), ‘The causal role of breakfast in energy balance and health: a randomized controlled trial in lean adults’, Am J Clin Nutr 100: 539–47.